In 2014, I ran the Pittsburgh Marathon half for the first time, participating in the Run for a Reason charity program. My organization to support was the Greater Pittsburgh Community Food Bank, and my goal was to raise $350. I raised $710, more than doubling that. 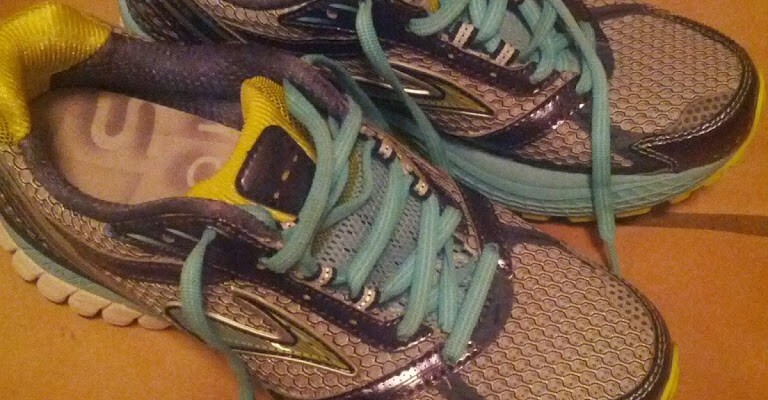 I’m running the Pittsburgh Marathon half again this year, with the intention to PR (and this time, the training to back that up). And I’ll be raising money for GPCFB again. I have set my goal at $715 – I’m training to shave 5 minutes off my running PR and want to add five dollars to my fundraising goal. Of course I’ll be happy with larger PRs in either category, but this is what I’m working toward. Having a PR in the half marathon after a crazy running year in 2014 is really important to me. Important enough that in the year of ‘margin,’ I’m calling it a big goal. So I am putting my legs where my mouth is and amping up my training. I’m participating in a training program with Elite Runners & Walkers that has amped up not only my days of running each week, but my mileage and my concentration on form and pace. But at the end of the day, I acknowledge that running is a privilege. It’s a privilege for me to have enough food at my house to carb load before a long run and to never worry about where that post-race meal is going to come from. Let alone a regular dinner on a regular day. That’s why it’s really important to me to support the Greater Pittsburgh Community Food Bank. I’ve written about this before – about why whether or not we eat should not based on what we deserve. There are people in our community – probably people on my own block – who don’t have their basic needs met. And because of the work of the Greater Pittsburgh Community Food Bank and its member agencies, 26.5 million pounds of food are given annually, to 360,000 people. That should shock you for two reasons. One? That’s a LOT of food. They do amazing things with what they have. Two? That means at least 360,000 people in our southwestern Pennsylvania, 11-county radius were hungry last year. And there were likely many more. 360,000 people with faces and lives and families and stories. Who didn’t have enough to eat. Please consider a tax-deductible donation to support the GPCFB through my attempt to PR on May 3. You can use this link, or use the sidebar over on the right side of the page. Lest you think I don’t put my money where my mouth is, I’ll be making my own donation in mid-January, in honor of my 32nd birthday. Just as a running PR of one second is still a PR, a donation of any amount matters – especially since the GPCFB makes the money go so far with its programs and partners. Consider even just $5- and thanks for your contribution of any size! It’s no secret that I support the Greater Pittsburgh Community Food Bank. Last year, I raised money for them by running the Pittsburgh Marathon Half, and I was also able to donate produce directly this year, due to an abundance of tomatoes in our garden. I don’t support food pantries because too many people don’t really deserve help. I hear many variations of this when I tell people about my support of food pantries and hunger relief. Lots of talk about fraud and abuse. The anecdotes people present about how they saw someone use an EBT card at the grocery store while wearing UGG boots and having their nails done. Talk about laziness and people who would rather take a handout than work. People up in arms about spending any government money to feed its people. The truth is, that all of the myths about SNAP (Supplemental Nutrition Assistance Program – what we call Food Stamps), have been shown to be just that – myths. Fraud accounts for less than 1% of benefits given out in SNAP, which is far less than Medicare or Medicaid. Most recipients of SNAP are children and the elderly. The average monthly benefit for a family of four ends up averaging $1.50 per meal per person. Have you tried to feed yourself on $4.50 a day? There are so many logical and statistical reasons why SNAP is a vital program for our communities. But food pantries act as supplements for SNAP, because SNAP is not enough. So places like the Greater Pittsburgh Community Food Bank step in and provide much needed food and services for the hungry. But I want to go back to the sentence I hear the most, the one I’ve been chewing on in my brain for days. That too many people really don’t deserve help. It’s shocking to me that any one of us feels we are in the position to judge what someone else deserves, particularly when it comes to whether or not someone eats. Eating is a basic human need – drinking water and breathing air are the only more pressing needs. Because I am a Christian, I believe that I don’t actually deserve anything I have. It’s all been given to me by the grace of God. And for everyone, what is it that you have done in your life that makes you deserve to eat? You didn’t choose the family you were born into – whether or not that family was above or below the poverty line. Life is too complex and people’s circumstances too varied for us to make judgements when we are deciding who should receive benefits or food from pantries. The people that run these food pantries are making the best determinations they can as to who can receive assistance with the limited funds that they have. I trust them to do this; I don’t need to get involved. When you donate a toy at Christmas to a Toys for Tots drive, do you ask the Marines what their screening criteria are for what child deserves a toy and what child doesn’t? I doubt it. When you donate to a children’s hospital, do you ask questions about whether or not that child or their parents deserve care? Nope. When people throw their anecdotal evidence at me about seeing someone in the grocery store in fancy clothes using an EBT card, I always ask them – how do you know where that person got those boots and how? Perhaps they bought them five years ago, before a family member lost a job or had medical bills or a mortgage that needed to be paid? Maybe they were a gift. Maybe they were a splurge. What happened to compassion for the sake of compassion, without strings attached? Is it really such a terrible thing if someone gets a box of stuffing and a can of green beans that might have been able to afford to pay for it on their own? If you aren’t a Christian, I think the same applies. I would like to meet someone who has made no poor decisions in the entirety of their life. Or someone who has never had something unexpected happen that they weren’t prepared for. I’d like to think that if my circumstances were different, someone would feed me when I was hungry instead of interrogating and shaming me. Since we’re nearing the holidays, you’ll see food drives out and about. In our area, the Fall FoodShare is going on at Giant Eagle stores. The KDKA Turkey Fund has started. Consider when you’re at the checkout and surveying all of the groceries you are purchasing for your family if you could purchase a few more, for someone else’s family. Not because they deserve it. But because there are people who are hungry. And they need to eat. It’s as simple as that. After feeling pretty overwhelmed this weekend (and really the last few weeks) with our plentiful tomato harvest, I decided to quit moping about what I couldn’t do, and do something I’ve always wanted to do. Share our garden with people who need fresh produce. Last year, we intended to give the contents of one entire raised bed to the Greater Pittsburgh Community Food Bank through its Community Harvest Program. Well, nature got the best of us and we basically had nothing to donate because nothing did well enough. 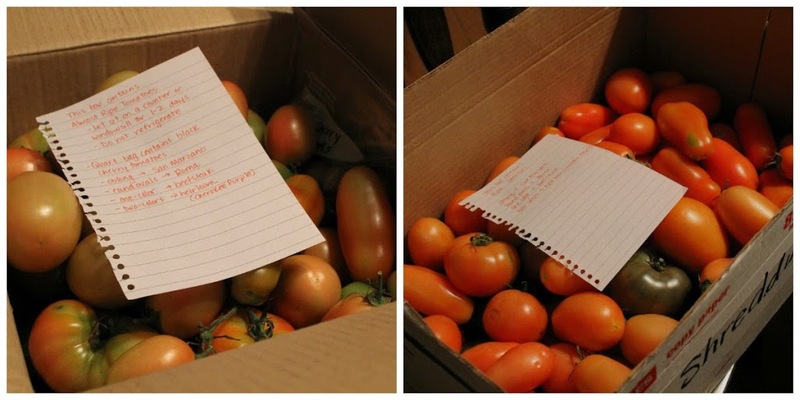 These two boxes are full of ripe and almost ripe tomatoes, complete with notes about the types included, ready to go to our local food pantry yesterday. It was simple. I visited the GPCFB’s Community Harvest page, and looked at the donation options. Because of other commitments, I couldn’t get to a Saturday drop-off, and I can’t make it to the actual food bank during their open hours because I’m at work the entire time and it’s too far to go during lunch. So I looked up my neighborhood’s local pantry through their online tool and made a simple phone call. Within 15 minutes, I got a call back that they’d love to take them! I also contacted a friend who does a lot of work with a local women’s shelter, and they are willing to take the next batch. I don’t tell you this because I’m an awesome person for donating tomatoes to a food pantry. But because if you’ve already preserved all you can and the alternative is for the produce to go bad, consider making a donation through Community Harvest. All it took for me was 5 minutes on the phone and a two second trip, basically across the street, to drop off the boxes. If you’re not in the greater Pittsburgh area, call your local food bank. You never know what resources they’d have to help you get the produce to people who need it. I hope next year to plan a little better when it comes to the produce donation so we can make this happen more regularly, instead of waiting until I’m about ready to rip my hair out with frustration. Maybe that dream of the Community Harvest bed will be a reality! My alarm went off at 4:45 a.m. on Sunday and I shot out of bed with the excitement of a kid at Christmas. I had 45 minutes to fuel and hydrate before we had to be out the door to catch a T into the city for the Pittsburgh Marathon. When I did my first half marathon last fall, I had an entire spring and summer of training behind it. This year, with a really rough winter, my training was spotty and included zero hills. It definitely wasn’t what it should have been, so while I probably wasn’t in peak physical condition, mentally I was so excited I could barely stand it. There’s just something about the Pittsburgh Marathon for me that’s hard to put into words. The energy is like a wave. Standing in the start corrals for 35 minutes until my group got close to the start line was cold, rainy and exhilarating. I was trying not to jump up and down from just sheer excess energy – not even nervous, just excited from head to toe. Once we were off, I settled into my music and mouthed the words at some parts, heading through downtown to the Strip District. I knew my friends and family cheering section was waiting on the North Side, just around mile 6. All I could do was think about getting to them during the first 6 miles. I was moving at a really fast clip and had to sometimes stop myself from getting too excited – my heart was racing and I was smiling like a crazy person. I was getting swept up in the energy. Even the hills on the North Side felt like nothing. I spotted my cheerers on the other side of the road from where I was running and I darted across to slap their hands. That moment for me when I saw them cheering and screaming my name and waving signs – it’s indescribable. Maybe it’s because I was never an athlete growing up and the activities I participated in didn’t really warrant “cheering sections.” But I felt like I was soaring and lifted up. So much so that I choked up as I passed them and almost burst into tears right there on Western Ave. It was with that burst that I crossed the West End Bridge and entered the West End. And hills. And I realized I was way too hyped up and tried to slow my pace again. But by mile 9 around Station Square, I knew the wheels were going to fall off the wagon. My calves started cramping – not even just being sore, but twisting in pain. And my IT band? Yikes. I could barely muster the strength to finish those last few miles. I kept going and managed to only take two small walk breaks for 30 seconds, but I knew the PR was gone. I had used up all my gas in the first 7 miles and was going to run on fumes at the end. At mile 12 I knew I was going to see my cheerers again during the last stretch, so I really pushed my legs and let that drive me forward. Mark took a few photos of me running by and my face pretty much shows how rough it was. I got to mile 13 and only had a tenth of a mile to go, and one of the medics flanking the end of the route looked directly at me, saw my name on my bib and yelled “You GOT this JOANNA! Just 100 yards to go! You can do it!” and I had to choke down tears again as I basically hurtled myself across the line and walked with jello legs forward to collect my medal and some fuel and a spaceman blanket. And some ice. And meet up with my friends. But I also realized that for me, PRs are not something to strive for. I’m not fast and I never will be. Completion is the goal, because if I keep pushing at faster and faster times, I end up having a great first half of a race and a punishing second half. I would rather coast along and enjoy myself and the thrill of being out there and watching my cheerers. During this race I was off of my PR ultimately by 7 minutes, which is only thanks to how fast I ran the first 7 miles. I do this for health and because I love it, not because I’m ever going to win anything, and I want to stop trying to win against myself. I will remember the first half of this race in my mind as one of the best runs I’ve ever had. And the only thing I’m going to chase this summer is that feeling. I can’t forget to mention probably the most important part of this whole thing. Through Run for a Reason and the generosity of my family and friends, I raised $710 for the Greater Pittsburgh Community Food Bank. My original goal was to raise $350 and I doubled that. Correction – YOU doubled that. I am comforted by the fact that something very good came out of this effort and that there are bellies being filled in our area by the money the Food Bank team managed to raise. I won’t be writing about running much unless I race during the next few months, so if you’re interested, you can follow me on Instagram and watch for the hashtag #yearofthemarathon to see thoughts and photos on training. So now it’s on to physical therapy and training with some races peppered in here and there – the Columbus Marathon in October being the ultimate goal. Columbus, here I come! run for a reason: one month to go! In exactly one month, I’ll be getting into a corral in downtown Pittsburgh to run the Pittsburgh Half Marathon for the first time. It won’t be my first half marathon, but the first one that feels like it matters in more ways than a personal record. Part of it is that the race is probably my favorite of the year, simply because of the energy and fun along the course. I run the core of city all the time on the trails in my training, but to get to run on the actual roads that I travel on my commute is pretty cool. And being part of a swarm of runners is pretty awesome. I’ll even get to retire my shoes after the race – my old faithfuls over to the left that carried me through the first real racing season of my life last year and will carry me into this year’s. And the cheering during this race? Awesome. Last year I ran the fourth leg of the marathon relay, so this year I’ll basically be running most of the first three legs. So I’ll get to see sections I didn’t get to see last year. And if the cheering was strong after the half marathon turn-off in the part that I ran, I know it will be strong from the start. But besides the fact that the Pittsburgh Marathon gives good swag, has a good expo and gives finisher medals that say “Runner of Steel” on them, this race is important to me because of the Run for a Reason program. Runners know that one of the great pleasures of racing is that the night before you get to carb up on pasta without guilt. And right after the race, when you’ve hauled your body for over 13 miles, a banana and a half of a bagel never tasted so good. But there are people who don’t have the luxury of eating a banana and a half of a bagel for breakfast on a regular day. I’ve been raising money for the last few months for the Greater Pittsburgh Community Food Bank and just yesterday made it over the $500 mark. Which is pretty amazing, considering that it will provide about $2500 worth of food for families who need it. That’s a lot of food. But I don’t want to stop. I’ve still got a month to go until the race, and I know that $545 doesn’t have to be where I stop. There are many great charities that people run for, usually ones that serve people or animals in need, whether groups that provide support for individuals with a particular disease or animals that need to be rescued. I’ve supported other runners in their causes too. And I know how many solicitations people get for charity on a routine basis. To me, there’s something different about a charity that works to meet people’s basic needs. Before anything else but water, food is a necessity for human life. There are people who need it – who go to bed hungry or have to send their children to bed hungry because there isn’t enough. That’s quite simply why this matters to me so much. I can’t support sustainable agriculture and just food legislation and eat at restaurants that use local and sustainable ingredients (and are often high-end for that reason) without also having a deep understanding of the fact that some people don’t have enough food to sustain themselves each day, let alone locally grown, organic food. It’s a privilege to choose what I eat for breakfast every morning and in this country, it’s actually a privilege to eat it at all. Consider donating even a dollar to support my Run for a Reason fund. Often people feel they have to make a larger donation for it to matter, but I’d love to see my fund fill up with a dollar here, five dollars there. Every little bit matters and every dollar turns into five when combined with the GPCFB resources. So if you really want to give $50 and can’t just give $10! You can visit my donation page by clicking here. Please share it at will. I’m planning on trying to PR at the Pittsburgh Half Marathon, and I’d love to blow past my fundraising goal and leave it in the dust with the old PR as well. Thanks for helping me to make that happen! Some exciting local stuff this week, as well as national news. There’s never a shortage of headlines in the movement for sustainable, just food. Marty’s Market, a local store in Pittsburgh’s Strip District, has made a pledge to only sell seafood approved by Monterrey Bay Aquarium’s Seafood Watch in an effort to focus on sustainable seafood. This is awesome for a lot of reasons. In addition to the post linked above, check out their post on the importance of sustainable seafood here. I’m going to Marty’s on Feb. 26 to view a screening of The End of the Line, a documentary about the problem of over-fishing. A story about a scientist who studied the effects of atrazine for Syngenta, one of the largest agribusinesses in the world. You can guess how this turned out. Way too many children in this country depend on being at school to eat breakfast and lunch – meals they wouldn’t otherwise get at home. Grocery giant Kroger is under fire (and being sued) for labels that claim their chicken is humanely raised, when the birds are actually raised in standard confinement agriculture operations. Truth in labeling continues to be a big problem in this country. Also, save the date for the 8th Annual Farm to Table Conference in Pittsburgh – March 21 and 22 at the David L. Lawrence Convention Center, downtown. This year’s theme is “Food Sources.” We attended this last year and met a lot of great local vendors and farmers, as well as some great speakers. 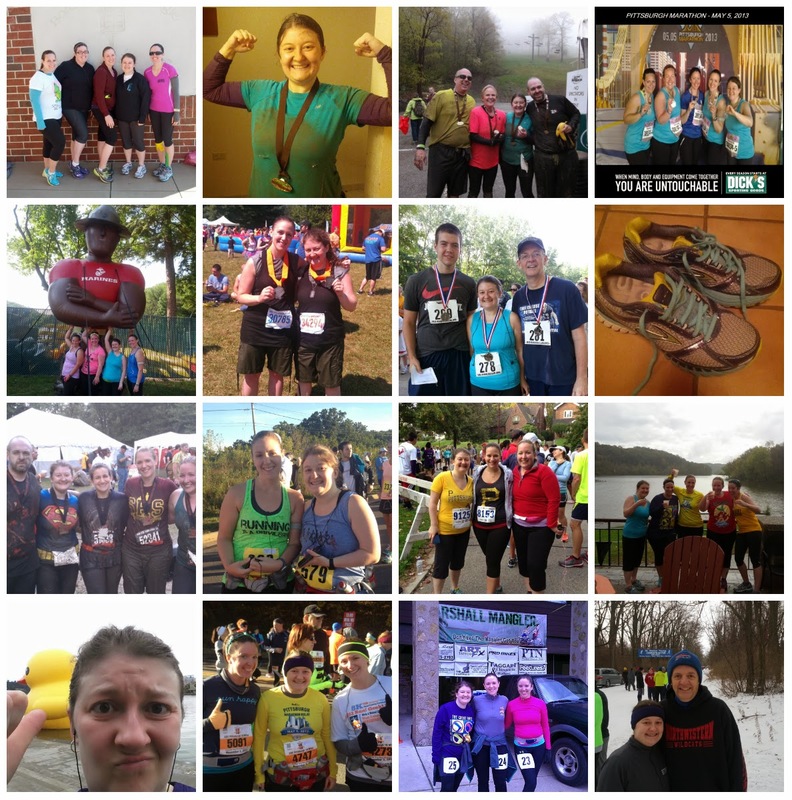 Don’t forget – I’m raising money for the Greater Pittsburgh Community Food Bank by running the Pittsburgh half marathon on May 4. 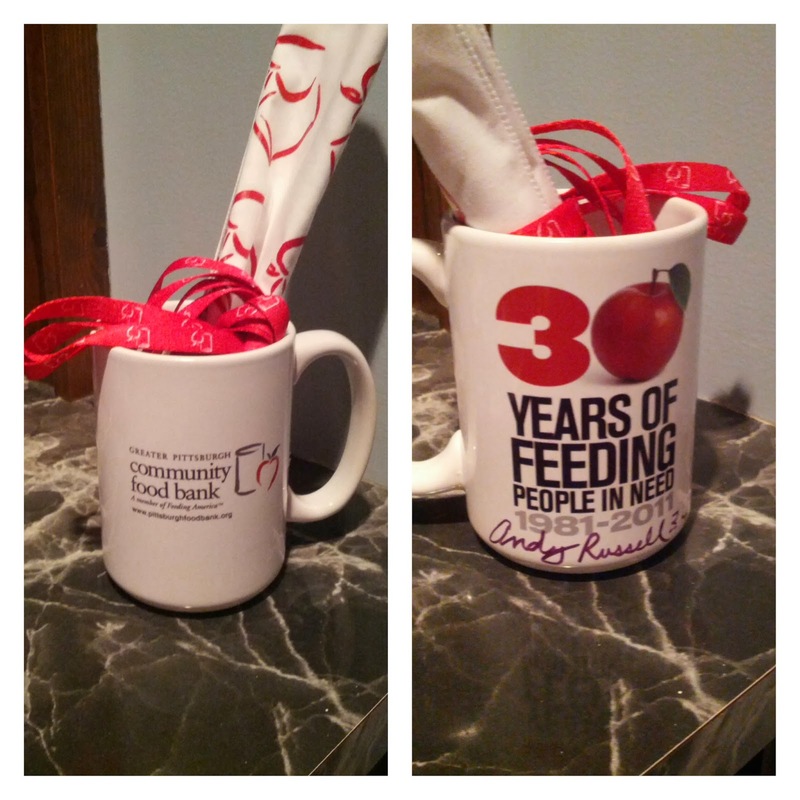 Read more about it here and support ending hunger in our community. Monday morning I set out for the Waterfront to meet up with some runners who are participating in the Pittsburgh Marathon events Run for a Reason, raising money for the Greater Pittsburgh Community Food Bank. Even though I love to run races, it’s actually pretty far out of my comfort zone to run with strangers, particularly on a trail I’ve never run before (Steel Valley). Oh yeah, and in the snow. I thought I knew the general extent of the services the food bank provides, but until I walked around the warehouse and saw everything up close, I had no real idea of how vast an operation it actually is. The amount of assistance they provide is just amazing – 27 million pounds of food each year, to people in 11 counties through their 400+ member agencies. As if that isn’t impressive enough, the food bank has a focus on providing healthy food. I think people assume that food banks just focus on getting people food in general and don’t worry about the nutritional value. But the food bank has many programs that address nutrition as well – and many initiatives behind the scenes as well. For instance, their Produce to People program distributes fresh food in 15 different locations. It makes me really happy to know that – because everyone deserves healthy food. They are still looking for more runners to Run for a Reason. 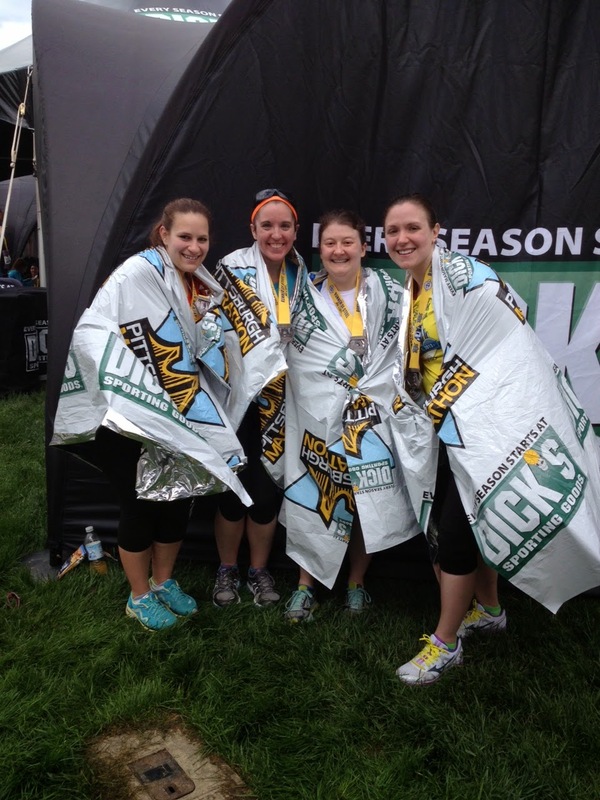 If you’re running one of the Pittsburgh events this year, join the Food Bank team! They will be having more group fun runs throughout the training season (and hopefully beyond!) and it’s a great way to combine fitness with a good cause. You can donate to my fund here and even join the team from that site. After the event, I’ll randomly select one donor and he or she will receive the mug pictured above, signed by Steel Curtain Steeler Andy Russell! There are so many deserving charities that need help this time of year, especially with the demand of the holidays. 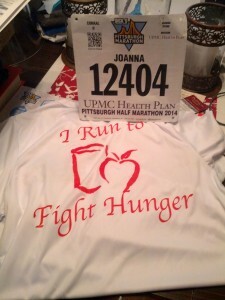 While there are many good causes to support, I have a soft spot in my heart for hunger relief agencies, as evidenced by my desire to run for the Greater Pittsburgh Community Food Bank in May for the Pittsburgh Half Marathon. Also, I’m a lurker/follower of a great local blog called IheartPGH, which is exactly what it seems from the title – a blog about this great city and its people. And I read this week that she’s raising money for CHS, an organization that provides many needed services – mental health, homeless assistance, housing assistance, and today I found out – a food pantry. In cooperation with the Greater Pittsburgh Community Food Bank, they serve as many people as they can in the Oakland area. And many in our city need food more than they need a fun Christmas present, as great as that is. Not only is she raising money, but she’s holding giveaways as well, and donating and spreading the word helps you win entries to walk away with some great prizes. Helping others have enough food to eat and spend Christmas with a roof over their head and a full belly while also getting to enter for great prizes and use the awesome hashtag #pghsavesXmas? Sounds good to me. Makes me feel like Pittsburgh’s a super hero, and that let’s me geek out a little bit too. Win. 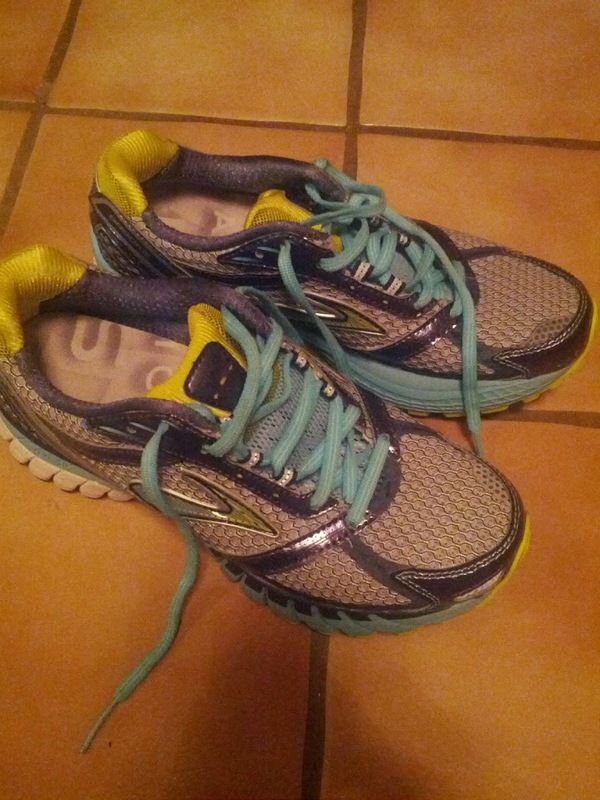 In 2013, I became a runner. Sure, before this year I ran a few 5Ks and an adventure race, but wasn’t really into running. It wasn’t until February of this year that a group of my friends decided to challenge ourselves and run in the Pittsburgh Marathon Relay in May that I started to train. My goal was just to make it to 5.5 miles, but some last minute shuffling made it so that I needed to run the 6.1 leg. That race hooked me in a big way. The feeling of running through my city on roads where I’d normally sit in traffic, with the crowds cheering my every step and knowing my friend was waiting for me to get to her for the last leg? Amazing. So then I kept training and kept setting goals and signing up for races. I just finished my last race of 2013 on Thanksgiving Day – a Turkey Trot with my dad at Presque Isle State Park in Erie (in packed snow and ice, to boot). It was, fittingly, my 13th race of 2013. It’s been a good year. So what’s on the docket for next year? 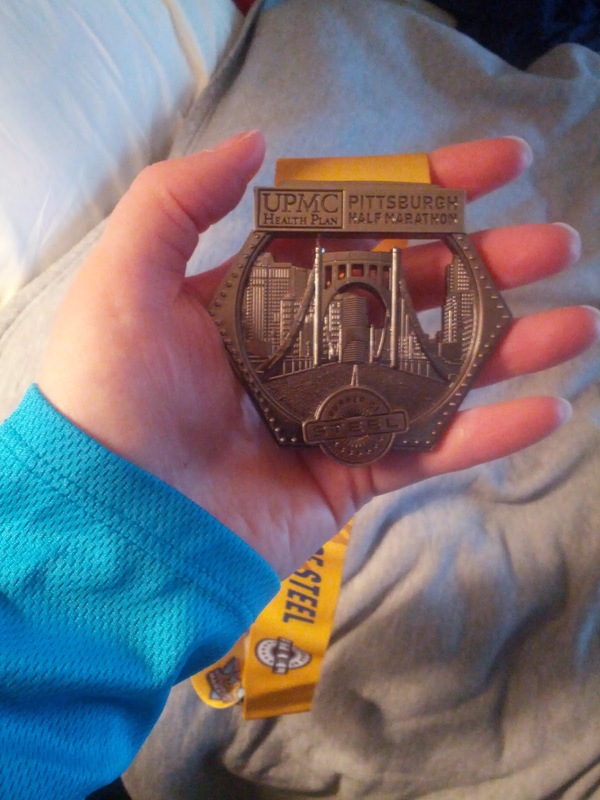 This year I’m returning to the Pittsburgh Marathon event to run the UPMC Health Plan Pittsburgh Half – 13.1 miles of glorious Pittsburgh, the first weekend in May. And this year, I’m running for a reason. My goal is to raise $350 for the Greater Pittsburgh Community Food Bank – $26.72 for each mile I’m going to run that day. I chose to run for the GPCFB because there’s nothing so important as making sure people’s basic needs are met. And through more than 350 agencies, the GPCFB helps to feed people in an 11 county area surrounding and including Pittsburgh. They distribute 27 million pounds of food in the area each year. 27 million pounds. But they don’t just stop at distributing food – they also work toward ending hunger by education and advocacy. And that’s a cause that’s near and dear to my heart. Through their partnerships, they are able to make every $1 donated translate to $5 of food for hungry people. You can read more about their work here. So next May 4, I’ll be running my first half marathon of the season to support GPCFB. If you’d like to make a (tax-deductible) donation to my fund, you can do so by clicking here. Share it around with anyone you know – or if you’re feeling like running through my city, register to run for GPCFB too! I’m sitting in a local coffee shop on the North Side as the snow that started overnight keeps falling (#gobblegeddon is the best hashtag I’ve seen so far), watching out the window and listening to people come in and out. Most of them are grumbling about the weather, even though most of them have probably lived in western Pennsylvania for their entire lives and shouldn’t be surprised that in winter, it snows. Even with the holidays approaching, as a people, we like to grumble. When pressed around the Thanksgiving table, we’ll say “Yes, I’m thankful for my family and friends and job and a roof over my head.” Meaning it, yes. But it feels rote – like we’ve all listed those things off a million times. But how many times do we move beyond what we’re “thankful for” and really dwell on gratitude? I can list off a million things I am thankful for – like getting enough of a cell signal at my desk to listen to Pandora or the Americano I am currently drinking. But for what am I truly grateful? I could probably reflect and write on gratitude for thousands of words. I am truly blessed in so many ways. But something in particular is nagging in my mind, especially as Thanksgiving approaches tomorrow – the profound gratitude that I feel knowing that I have no doubts about where my next meal is coming from. Last week, the news was buzzing about a viral photo that showed a holiday food drive that was happening for employees at a Wal-mart near where I went to college in Ohio. This brought up the debate about a living wage for retail and restaurant workers – and rightfully so. But to distill it to just a fight about wages obscures the fact that there are probably workers at that store who wouldn’t have a Thanksgiving dinner without that food drive. And there are people across America who will go to bed hungry tonight. There are many food drives at this time of year, and supporting food banks is really important. But I don’t think that people will truly understand the scope or the severity of the need in this country unless we begin to be truly grateful for what is on our tables and appreciating its value. When a child doesn’t want to eat something at dinner, parents will say “Do you know there are hungry children in Africa that would love to eat that?” That’s true, but there are hungry children next door, too. In our own neighborhoods. As I enter the abundance of the holidays – elaborate meals and baked goods, presents and parties – I want to remain profoundly grateful for the gift of a full stomach and do my part to fill some more. Have a wonderful Thanksgiving, everyone. I'm Joanna. I live with my husband Mark, our cats Vader and Stormageddon, Dark Lord of All (Stormy), and two chickens (both with Star Trek names) in Pittsburgh. Monday through Friday during business hours I'm a communications marketing specialist. The rest of the time I'm a reader, a huge Trekkie and lover of sci-fi, and a homesteader/wannabe farmer.